The newest addition for the provision of Complementary and Alternative medicine for people with cancer living in Cape Town with is the Hummingbird centre. It is opening up in Century City. I have serious reservations about the validity of the therapy being offered as a core therapy so last week, I went to the launch to find out more. The Hummingbird will be a cancer centre offering holistic and alternative management for cancer. The core therapy at the unit is NGPDT: New Generation PhotoDynamic Therapy. What is that? A person is given a photosensitizer that is derived from chlorophyll. In theory, over the next few hours, normal cells release the agent and cancer cells retain it. The light therapy then causes lysis of the cells containing the pigment and are destroyed. Topical Photodynamic Therapy has been around for decades and has been successfully used to manage superficial lesions. The European guidelines have recommended it's use for Actinic Keratosis, Bowen's disease, Basal cell carcinoma What the new generation therapy is supposed to do is treat other cancers as well. Before I went, I understood that the centre was primarily offering treatment to people with metastatic cancer but during the evening, reference was made to treating people with early cancer as well. This is interventional treatment. Complications can occur when needles/probes are inserted into the body. It is not clear to me how people with metastatic cancer with many deposits of cancer will be adequately treated. The invitation promised a summation of the evidence based research using NGPDT. Dr Donald Murphy presented the results of a phase 1 clinical trial in the management of men with prostate cancer. A Phase 1 clinical trial has to show that the therapy does no harm: it doesn't show that it works. There were a few case studies presenting showing its effectiveness but there was no scientific evidence presented showing that NGPDT cures cancer. Gary Scallan, the CEO, gave a talk outlining the vision of the new centre. He said that they wished to bring affordable cancer care to millions of Southern Africans. He noted that conventional cancer medicine is very expensive and that that NGPDT is cheaper. Dr Comyn (medical director) said that he believes NGPDT can be used to treat Karposi's Sarcoma. However, there have been no studies looking at it's usefulness in the management of these patients. Several cancer NPOs have joined with the Hummingbird centre. The largest of these, PLWC, was rumoured to be receiving some form of commission for referring patients to the centre for treatment. 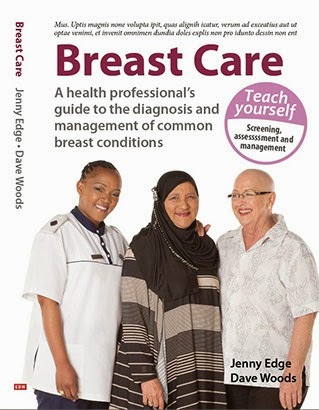 I was concerned about the rumour as PLWC is an excellent NPO providing cancer care for many cancer survivors and I was worried that they were loosing their autonomy. I was therefore delighted to hear Mr Scallon confirm that the rumour is not true and PLWC will not be receiving financial incentives from them. So at present, the Hummingbird Centre is a space offering alternative cancer treatment and support. The medical team doesn't include any oncologists/surgeons. The core therapy being offered is NGPDT. There are no clear guidelines as to who will receive the treatment. Many organizations have expressed their reservations about this treatment. The NHS, has said "It is not supported by any scientific evidence". I hope that proper trials will be carried out to define exactly what cancers can be treated with this modality and that the Hummingbird centre will be clear as to who can be treated. Personally, I still have reservations about the validity of NGPDT as a systemic cancer treatment. This Humming bird cancer center is a blessing for the people living in Cape Town. This post gives a clear picture of the therapy used in the center for the cancer patient. Thank you for sharing your reviews about this center and the therapy used. Just found out about this clinic. My mom have pancreas and liver cancer and we don't know what to anymore of her. Doctors told me that this is just bad luck for her because she's no drinker or smoker. I know she's a stage 4 cancer patient but is there something we can do for her to make her feel better.